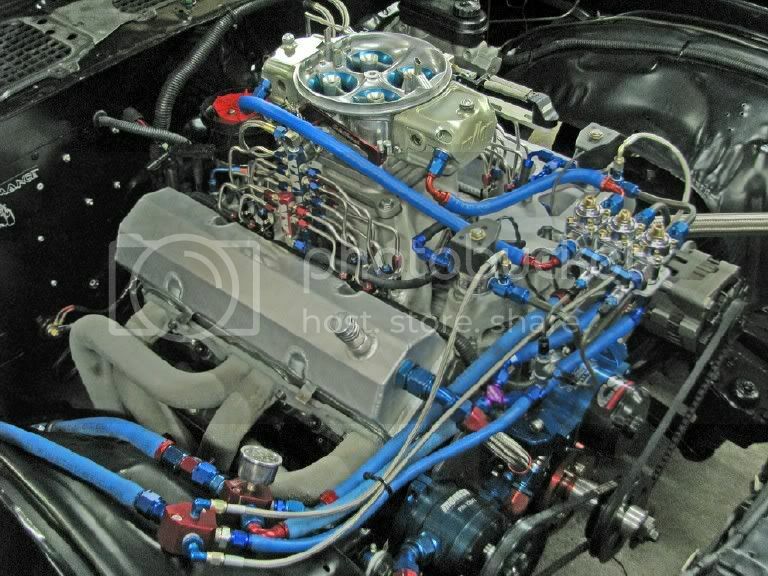 I want to see how you guys are routing your fuel systems and wiring specifically on chevy small blocks and big blocks, but others are welcome to. 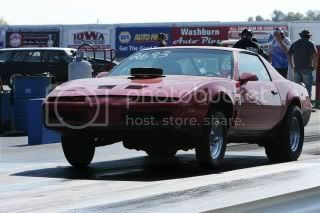 If you get time today and can take some pics it would be greatly appreciated, just looking for some good ideas to clean up the fuel system, and electrical under the hood particularly the nitrous wires, msd, and the such. Thanks alot. wow looks great! How do you like those quickfuel carbs? 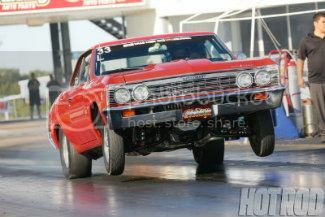 shes makin some power thats for sure! How much does that thing way? Would there be a benefit in running a quickfuel over say a 4150 holley in a street app? Im sure its got 4 corner idle screws. Probably just let you dial it in a little better. i think the 4150 is as good as the quick fuel on the street. there isnt much diff between them. i like all the billit matierial and stainless in the quick fuel but functionally there is little if any diff that i can tell. 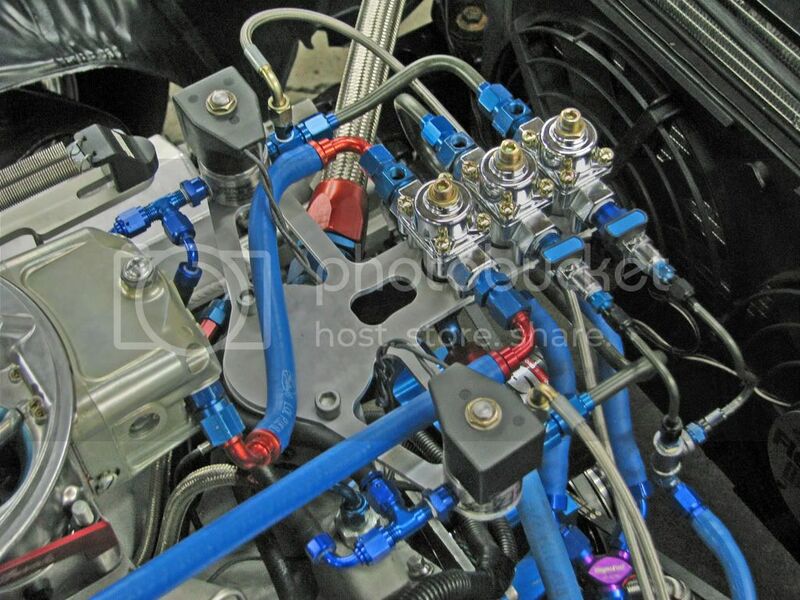 ive been playin around with the nitrous for about a year and the #1 most advantageos component ive found is a programable window switch when your realy puting some serious juice to it. 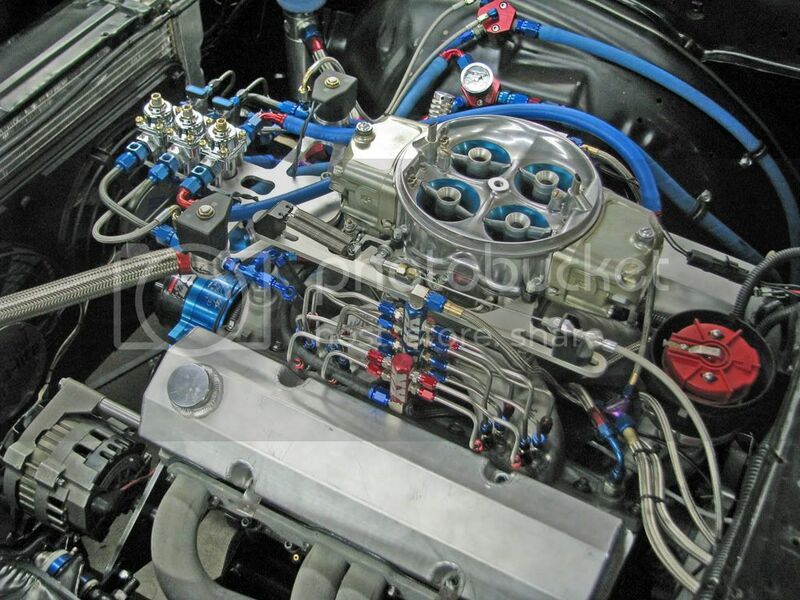 When I ordered my Patrick carb, I asked about having billet blocks put on it, and he told me the machined slots wouldn't recover off the shifts as well. 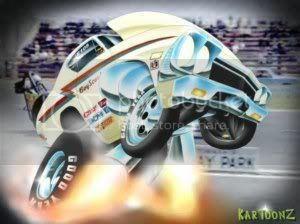 I do have a Holley HP, with Quick fuel blocks that I ran for 3 years on the turd. Worked well, just took awhile to tune. Just my .02.
that is one nice setup! One question though. Is it hard to read the fuel pressure gauge that close to the 'firewall'? actualy i can see it pretty good through the windshield. after i do my burnout i back up and turn the system on just before i stage it and check the fuel pressure and that is the last time i look at any gauge untill i shut it down. 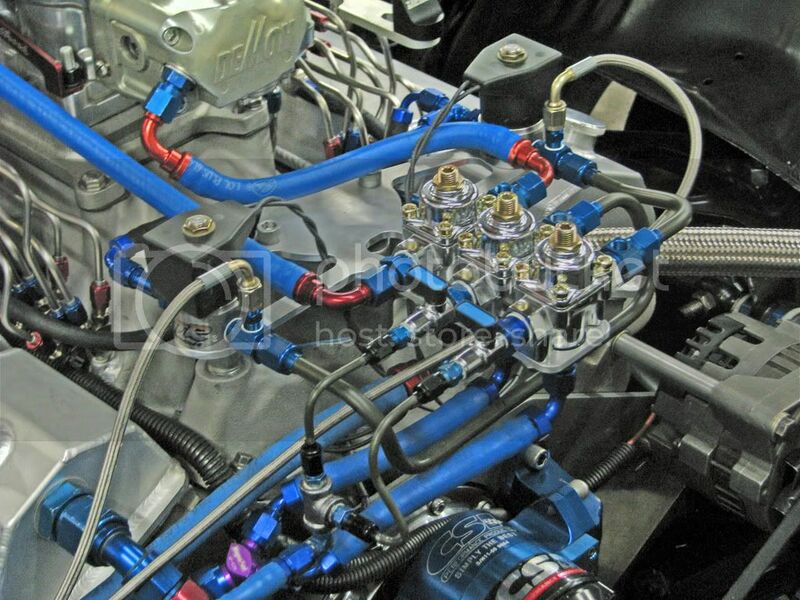 Clean and simple.... Edelbrock plate system. Quote from Squeezer "mine looks like a 5 year old did it" I am still laughing out loud because I was thinking the same thing about mine. Compared to you guys mine looks terrible!